Music Box celebrates this decidedly clockwork heritage but – of course – welds in some more contemporary strangeness along the way. 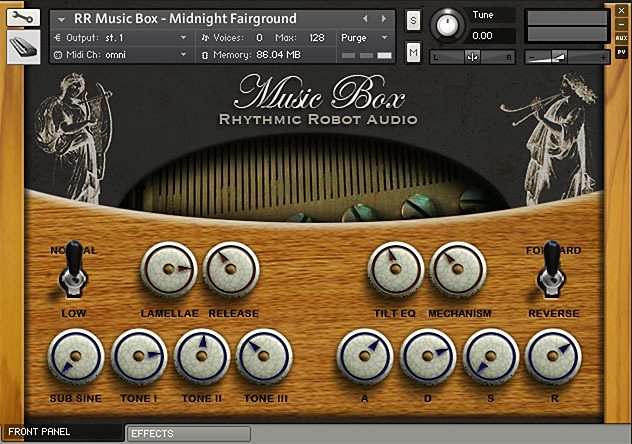 At its core, Music Box is sampled from a 3-octave professional musical mechanism which runs its tunes from punched paper rolls, like a player piano, instead of a drum. 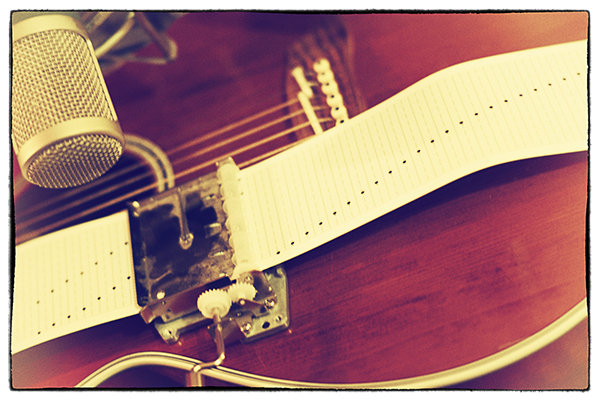 This lets the user create whatever tune they wish, with a little paper punch. (We opted for a 3-octave scale – not very exciting, but good for sampling!) 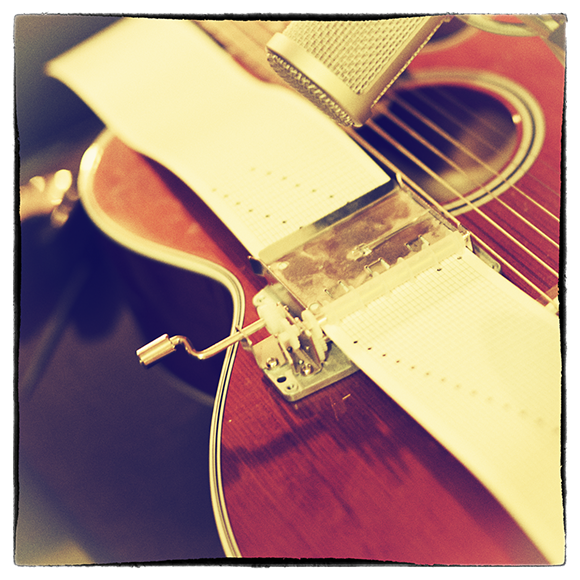 To record this, we clamped it to the soundboard of our Takamine acoustic guitar, tuned the open strings in unison, and put a capo on the neck in tune with whichever note we were sampling – so the guitar body adds a hefty dose of musically-relevant resonance to the initial pluck of the lamellae. 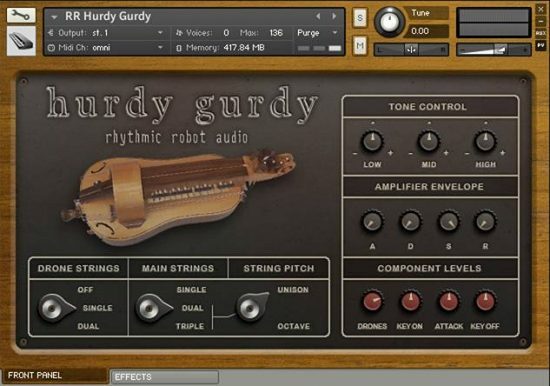 These core notes are accompanied in the interface by several further soundsets: a set of release samples which add little clicks, whirrs and chirrups on note-off (great for introducing an authentically Victorian vibe); a looped mechanism sound, bringing you a clockwork crank sound for those moments when you want to emulate a proper musical box tone; and four synthesised tones which extend the sound palette considerably. One of these is a simple sub-oscillator to beef things up, and the next three are progressively more harmonically-rich FM tones generated by our lovely Yamaha DX5. These allow you to push the basic Music Box sound into far more creative territories, and come with their own ADSR envelope. 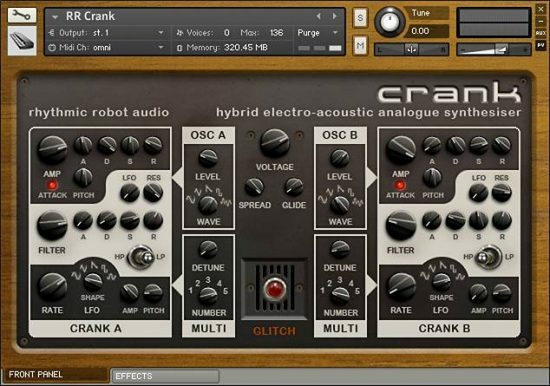 Further weirdness comes courtesy of a sample reverse switch – great for spooky, creeping builds – and a pitch down switch, which force-drops the pitch by a couple of octaves and gives you access to grumbling, subterranean graunches and moans. 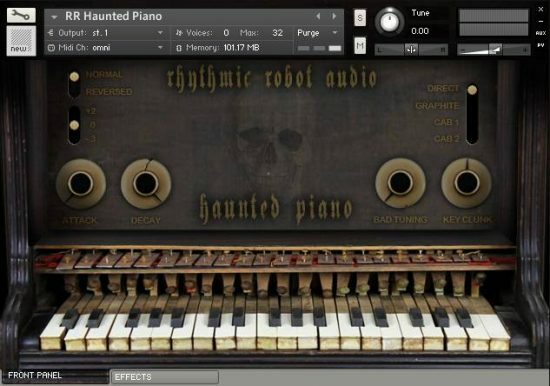 Combining these with the synthesised tones and the Effects panel can take Music Box straight into the heart of sound-design. Music Box ships with 38 factory patches, many of which were programmed by our pal, soundmeister Anatol Locker. You can hear some of Anatol’s tracks here, and if you want to print your own synth, have a look at his day job here. 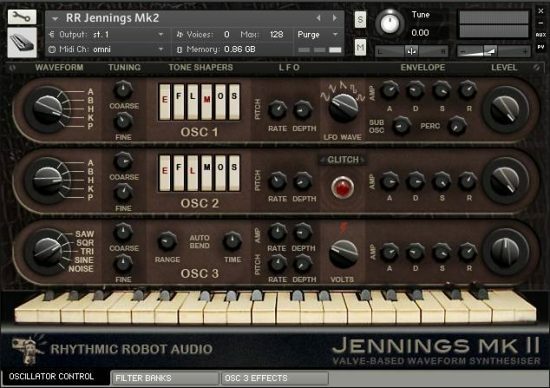 The DX5 tones and, above all, the possibility to adjust the volume of the release samples separately make this Music Box more interesting then many other on the market.